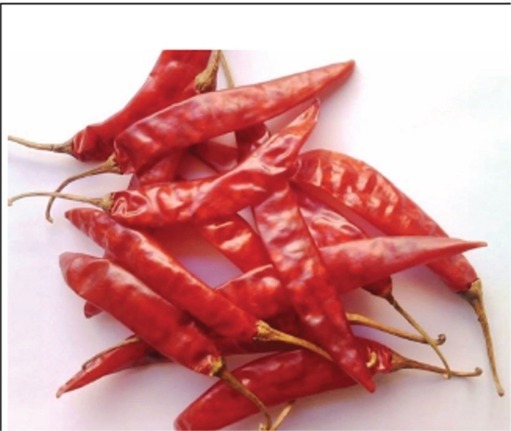 Red Chilli Diarrhoea: A person suffering from diarrhoea, tablets made with the combinations of chillies, camphor, cumin seeds and asafoetida may be given in the dose of 125 gram to cure from this diseases. Pain and Sprain: The application of mix of red chillies medicated with castor oil is useful in easing from pain and sprain. Numbness: Feeling lack of sensation in legs, mustard oil medicated with red chillies may be applied to cure numbness. Heart Attack: The University of Cincinnati has researched that chilli due to presence of capsaicin lower blood pressure and reduces the level of cholesterol. It also prevent arteriolosclerosis. 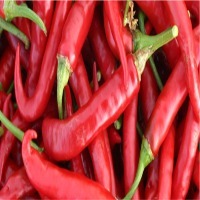 Red Chill Benefits Fight Migraine: Researches have proved that chilli can combat headache, migraine and sinusitis owing to capsaicin control neuropeptide substance P that is the harbinger of migraine. Sinus Prevention: Heat due to capsaicin helps to clear mucous from the nasal passage and also fights sinuses. Short on time? 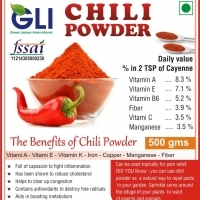 Let red-chilli sellers contact you. 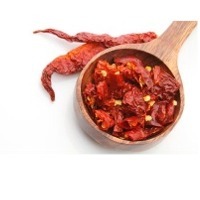 We can supply best quality SGS certified Dry Red Chilli which is procured from farmers doing organic farming. ENDO-5 Dried Red Chilli is hot, sharp and stimulating. The ENDO-5 Dried Red Chilli has a pungent smell that irritates sometimes. 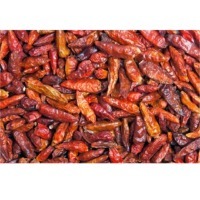 ENDO-5 Dried Red Chilli, that we offer, is widely used in preparation of snacks and sometimes used for garnishing. The ENDO-5 Dried Red Chilli, that we provide, is mature pods and has larger seeds, more spicy & sharp due to expert cultivation methods. We are engaged in supplying an unmatched range of high quality ENDO-5 Dried Red Chilli that is used in almost every savory dish in India. The pungent flavor of ENDO-5 Dried Red Chilli enhances the taste of food and makes it more tempting. Whole dried red chillies crushed and flaked. 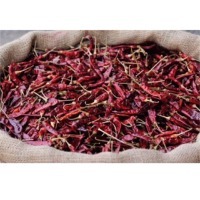 This hot fiery spice can be used in place of whole chillies and releases its flavour quickly into dishes. Ideal as a seasoning for pizzas and casseroles. Use to spice up any dish as a sprinkling on top where it adds colour and texture as well as heat, or use in dishes as a substitute for whole chillies. The red chilies that we provide are mature pods and have larger seeds, more spicy and sharp due to expert cultivation methods. 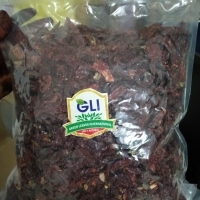 S-273 Dried Red Chilli is one of the most famous varieties of chilli and has excellent domestic, as well as international demand. 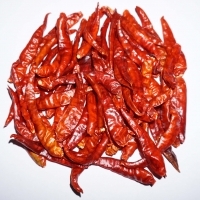 The S-273 Dried Red Chilli is extensively used around the globe for various culinary purposes. 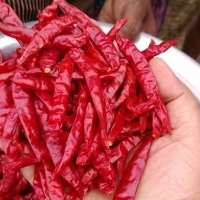 As a quality conscious Exporter, we procure S-273 Dried Red Chilli only from reliable farmers and vendors. We have our own quality control team & well-qualified analysts, who apply their consistence efforts to offer the most accomplished range of S-273 Dried Red Chilli. 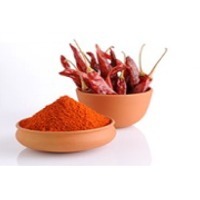 S-273 Dried Red Chilli, that we offer, is used in its whole form frying foods or it is used in powder form for garnishing yummy food items and snacks. 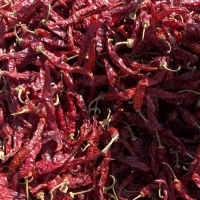 Dry Red Chilli Bangladesh Origin - New Crop Long, Red & Dried, Length 5.5-8cm or more Packing Size: 25kg or 50kg Gunny Bags Price: Negotiable. 14MT Load in 1 x 40’’ FCL Payment Terms: Advance TT / Irrevocable L/C at sight. Minimum Order Quantity: As Per Buyer Requirements. Shipment: Immediately after getting the L/C OR TT in our bank (Depends on quantity). 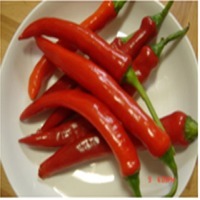 Everyone knows about the spicy nature of the red chilli which adds on heat and flavour to any meal. Besides giving spicy flavour, chillies add some nutritive elements to the food. 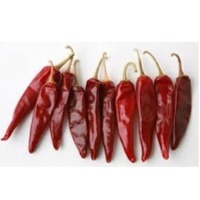 Chilli pepper is belonging to the family of foods, culinary spice, red chilli is a powerhouse of nutrition. It contains vitamin C and carotene in high amount. Green and yellow chillies contain a significantly lower amount of vitamin C and carotene. 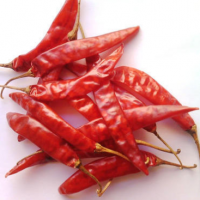 Red chillies are also packed with an assortment of vitamins A, B and minerals that can help to heal a variety of illnesses from having some antioxidant factors to cancer-fighting agents. 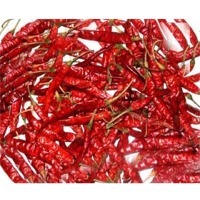 Red chillies have so many health benefits. Chilli peppers are hundreds of types that vary in shape, size, flavour, colour and "hotness." 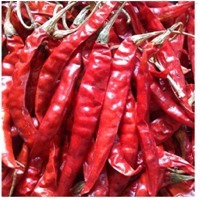 Red chillies are essential to eat for its medicinal properties. Its medicinal value is directly associated to the vast array of chemical compounds that present in the spice. They are famous for stimulating appetite and also for boosting blood circulation. Other health benefits of chilli include pain relief, fighting inflammation, cardiovascular health, cold and flu protection, weight loss and cancer prevention.